Geeklings Blog x: That moment when you get carried away on Pinterest...Wishlist time! That moment when you get carried away on Pinterest...Wishlist time! Sorry readers that this blog post is shorter than usual... or the writing isn't funny or interesting or seems a bit forced! Thanks to me trying to make something bold, the whole post (pictures, dodgy intro, writing and all!) got deleted! Yes, that's right, deleted. I thought ' it's alright though, my trusty friend Ctrl Z will undo that' but for some reason it decided it was taking a day off! *Walks out of room, screams, comes back in* On with the post! 2) Who said pizza wasn't healthy? 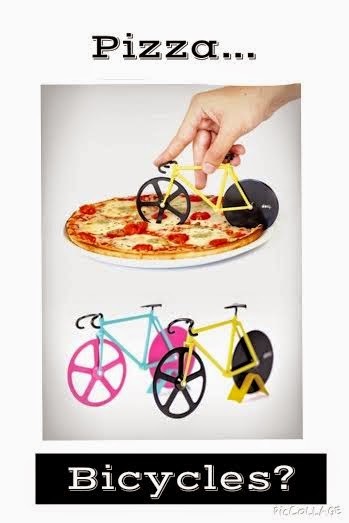 Ok, so maybe riding a bike with your hand isn't the greatest form of exercise, especially when pizza is the prize but how cool are these!? Whoever said pizza cutters are new-fangled machines obviously hadn't seen the pizza bicycle slicers...I want them now! Aaw look, they even have their own little dock so that they don't fall over when they aren't being used! 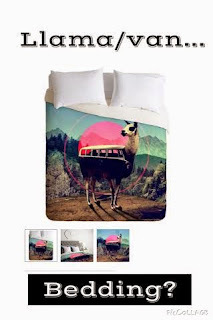 3) What, you've never seen a llama/ campervan combo? Ok, so I like my weird items and decorations for around the house, but these. These are awesome! I like campervans, and who doesn't like these awkward, fluffy, meme-worthy, girl guides song- featuring animals!? And they've even got a bit of geometric patterns and mountain ranges going on in the background... what more could you want? 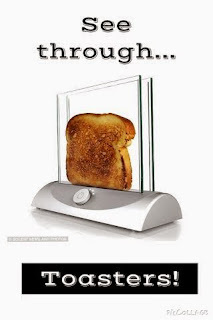 4) No more toast binning! So, it is really easy to burn your toast! On my toaster you press the button and it pops up as slightly warm bread, so you pop the slices back down again... only for them to pop up burning, setting the smoke alarm off and looking like if they were put under enough pressure they'd turn into diamonds! Well not any more! I think this may be my favourite (and most practical) item on this wishlist because you can see the whole slice of bread as it toasts! 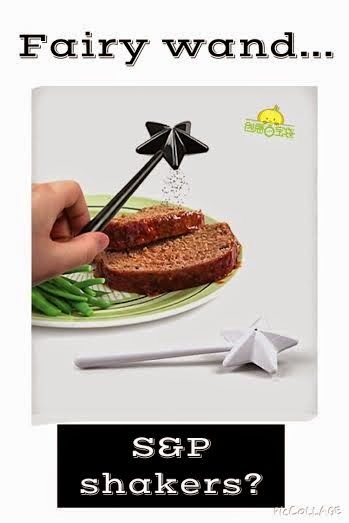 You could say, it is the best thing since sliced bread. But you wouldn't, because that would be a really bad pun! I bet a lot of us have seen or heard of the famous 'grumpy cat' meme celebrity. 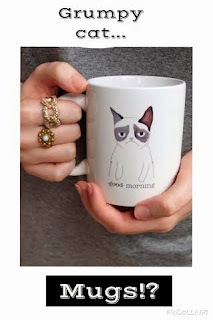 Well his delightful (*refraining from saying mug*) face is now on mugs with a really fitting caption. So when you go for that cup of tea in the morning you are reassured that today will be as bad as you think it is! A great present for those that aren't a 'morning person'!